Dr. Jayne moved to Alaska in 1992 and chose to settle in Palmer, practicing at the Palmer Vet Clinic. At that time, Hempstead says, “I was clueless about sled dogs.” A musher who used the clinic invited her to take a turn on the runners. It’s all history from that time on. Now she has her own recreational dog team and she’s been involved with the Junior Iditarod as a volunteer race veterinarian. Dr. Jayne meets with the rookie mushers on Thursday night before the Junior Race begins. Her main topic for the young mushers that evening is dog care. Friday finds both Dr. Jayne and Dr. Phil at Iditarod Headquarters doing pre-race vet checks. Later in the evening, the vets meet with all the mushers and focus on pertinent dog care for the conditions of the race. 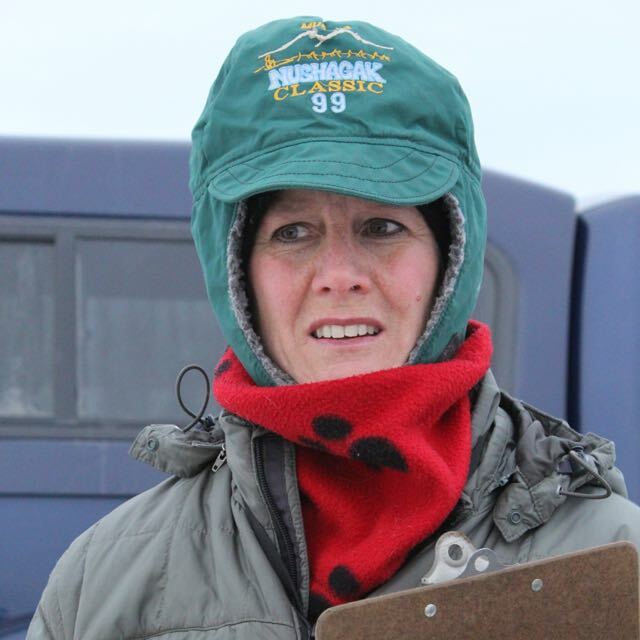 It’s more than the dogs that brings Dr. Jayne to volunteer for the Junior Iditarod. She’s amazed by the young mushers and the skills they have. When they are on the trail, they are not only responsible for themselves, they’re responsible for their entire team of dogs. They have to have tremendous organizational skills. When it comes to mushing, taking care of their dogs and taking care of themselves, these young mushers are far above and beyond their peers in planning, preparing, practicing and persevering. When the Junior Iditarod begins, the two veterinarians are flown out to locations on the trail to supervise the mushers and the health and well-being of the sled dogs. Once the teams reach the turn around point, they take a ten hour break during which they care for their dogs, become gourmet cooks to prepare food for the canine athletes and only after the dogs are cared for will the mushers eat and rest for themselves. The vets are there to check the dogs and to answer questions the mushers might have about their dogs. On Sunday when the mushers turn and head to the finish line, the vets remain on the trail to address concerns the mushers might have. Both vets are available on the trail from start to finish.